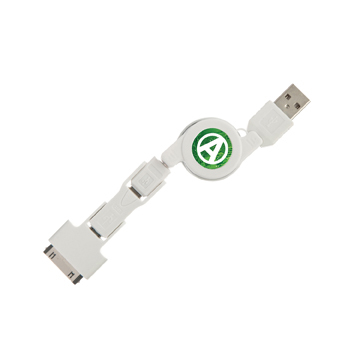 A useful and innovative product which comprises of a USB with various adaptors for charging different devices. Easy to use, simply pull on each end to extend the connector leads and to wind it back up again. The round central area carries your domed company logo. Supplied in a presentation box.